Stations do require more prep than a lot of other activities, but once you're set up, the lesson takes care of itself. Which for me is always a good trade off! Start by pulling your seating into stations. How many kids at each station depends on your numbers, your room and your students' ability to focus. You can always have multiple version of each station if you need to spread your students out more. Find a way to label each station, either with a poster or a laminated handout or a big craft number from Michael's. Whatever works for you. You want students to be able to easily see what station is where when they look around the room, so they can find what they need to do. At each station you'll want to have resources or prompts of some kind and a task or two for students to complete. Be sure you have enough copies of the resources for the number of chairs you have at the station, so no one will be sitting around waiting for a turn with the resource. If you want one of the stations to be watching a movie clip or listening to a part of a podcast, either use QR codes so students can use their own devices, or have enough devices set up with headphones for the number of chairs you have available. Consider giving each student a handout that lists the stations and tasks at each. You can have them check off the stations as they work through them, or better yet, put out a unique stamp or sticker page at each station and have them stamp/sticker their papers as they move around the room. Let them know they'll need to show you their completed process handout at the end. Know what your expectations are for how students will move through this activity, so you can let them know clearly and avoid trouble later. If they should be aiming for about ten minutes per station, let them know. If they're allowed to work with partners at stations if they want to, let them know. If the room should be completely silent during the station work, let them know. You'll save yourself headaches by making your expectations really clear before the kids launch into stations and you lose their attention. OK, so you've got the idea! You set up the room, put out resources and tasks at each station, make clear expectations and some kind of quick process guide on which your students can show their progress through the room. 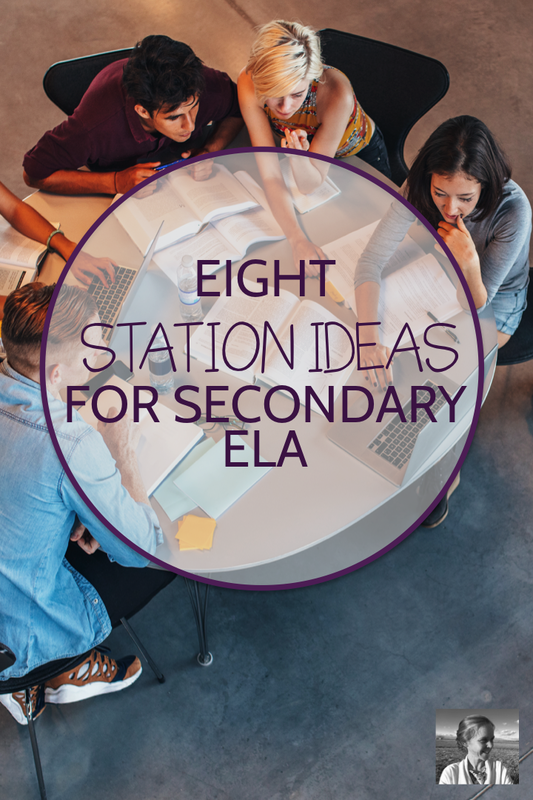 Now, let's look at some possibilities for when and how to use stations. Let me share eight very different kinds of options to help you get inspired. Let's say it's the start of the year and you want students to understand what growth mindset is so you can refer to it throughout the year. If you teach this with stations, you have tons of options. 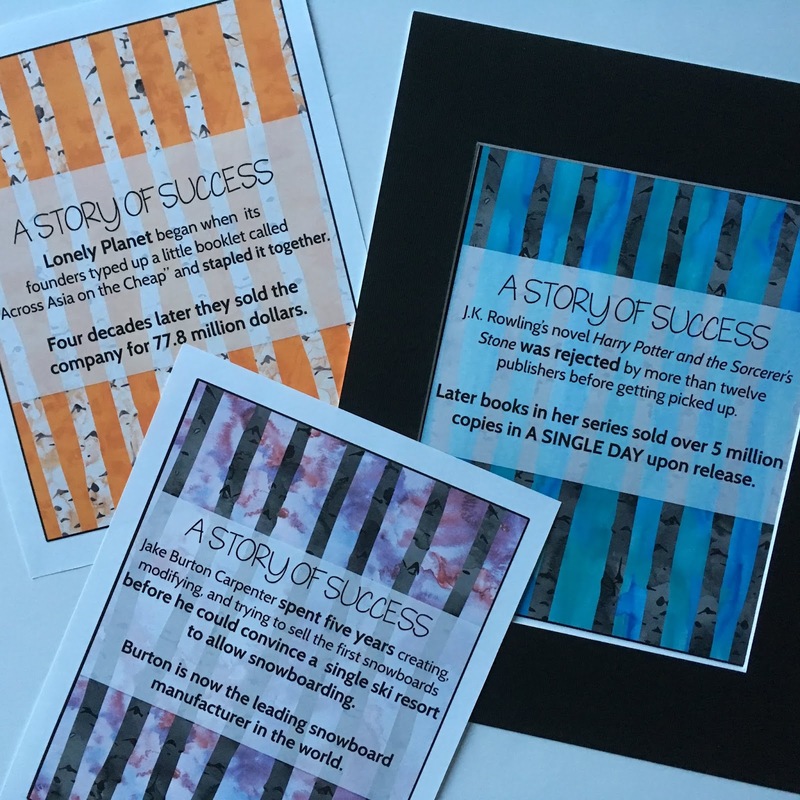 At one station you could lay out picture books with growth mindset themes. The task could be for students to choose a book and then add their growth mindset takeaway from that book onto a huge poster on the wall next to the station. At another station you could provide QR codes for clips from great episodes of the podcast "How I Built This" and let students choose one to listen to. Their task could be to leave a review for "How I Built This" on their podcast player with specifics on what they learned about perseverance from the guest. Another station could feature copies of news magazines from the library, with the task being to find an article featuring someone who shows growth mindset and then do a guided sketchnote about that person's journey. 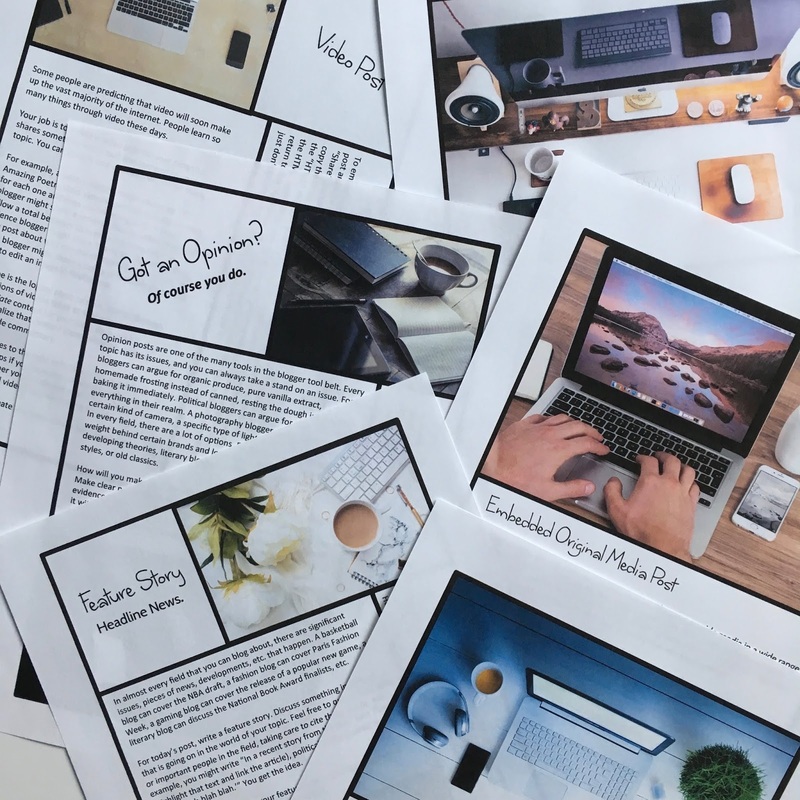 Another station could be an art station, where students could make posters from famous growth mindset quotes or stories to put on the wall, using art supplies OR the online tool Canva. You get the idea! With stations, you can do super varied activities, and students will probably end up spending the most time in the areas that align most with their learning style and interests. You can even ask them to complete three out of four stations, or four out of six, etc, differentiating easily in this way. Helping kids prepare to write college essays can be a stressful process. Getting started with stations is a great way to generate material and ideas. Some of your stations can feature videos, podcasts, and articles from college admissions folks and college guidance counselors, and tasks asking your students to write down what they learn. Other stations can get them thinking about good topics for them. At one, you might ask them to create timelines of big moments in their lives. At another, you might have them do one-pagers about their own lives and interests. The resources at stations like these can be examples by other students (once you've done the activity once) or by you (the very first time). One station might provide examples of strong essays and ask students to read them and discuss what makes them good with a partner. Aaaah, test prep. Whatever you're trying to prepare students for, be it the ACT, SAT, AP, or state testing, one way to lean in is to divide your material into stations. You could have a station where students look at test questions and then write their own. A station where students make flash cards on a certain important topic and then quiz each other. A station with a video tutorial on some important material and a guided sketchnote or one-pager to do while watching the video. A station for answering practice questions and then self-scoring with an answer sheet. If you have trouble getting students to dive deep with their revision process, writing revision stations can help. Target their most common issues with your stations, focusing in on things like strong introductions, clear theses, citations, conclusions, mechanical errors, etc. Provide examples of what works and what doesn't, and give clear tasks for improving the area of focus in their own papers at each station. If you need to review vocabulary for half an hour every couple of weeks before a quiz, you could set up a station activity that you can pull out every time. At one station, students could watch funny youtube videos as prompts for writing related stories using their vocabulary words. At another station, they could create a word wall poster for one word they pull from a bowl, then add their poster to a wall of posters and study what other people have put up. At another, they could create their own flash cards and study them. At another, they could do a funny activity like write a text conversation between two characters in their favorite movie using all their vocabulary words. 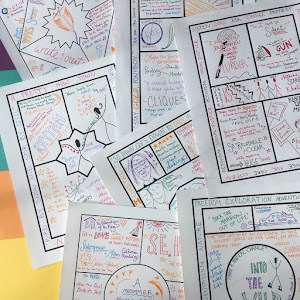 Whatever you're about to dive into, you could set up stations to introduce students to the concepts that will be important. For example, if you're about to have them start genius hour blogging, you could spend a day introducing blogging with stations. One station could send them on a web quest through some popular blogs. Another could have quality printed articles from blogs and some questions about what makes the articles good. Another could feature a chance to choose and listen to an episode from the Problogger podcast. Another could ask them to brainstorm a topic for their blog and come up with ten post ideas after looking at popular posts on a particularly well-known blog. If your students are struggling with discussion, or you just need to change up your dynamics, try taking your discussion into station work. Make each station a different way to respond through conversation to the reading. At one station, students could try a post-it discussion, adding their thoughts on post-its to question posters you have scattered around the station. At another station, students could log into an online discussion with the task of posting one question and responding to at least three others. At another station, students could grab an index card and write what they feel is the most important quotation from the book and a few sentences about why, then add it to a collage of others' opinions and read through what others have written. If you're trying to get students excited about the books in your independent reading library, you could set up some stations to give them a chance to preview your books. Put a variety of popular titles at each station, then give varying instructions for previewing the books at each station. At one, let students scan the backs and covers. At another, provide headphones for listening to snippets of audio. At another, let students choose a book and read the first chapter. At another, have them look up reviews on Goodreads or Amazon to see which ones appeal. Throughout, have students writing down ideas for their TBR list. Through the stations, you're both introducing them to new books and teaching them how to preview books and find good reading material. As you can see, almost any lesson can be turned into stations. 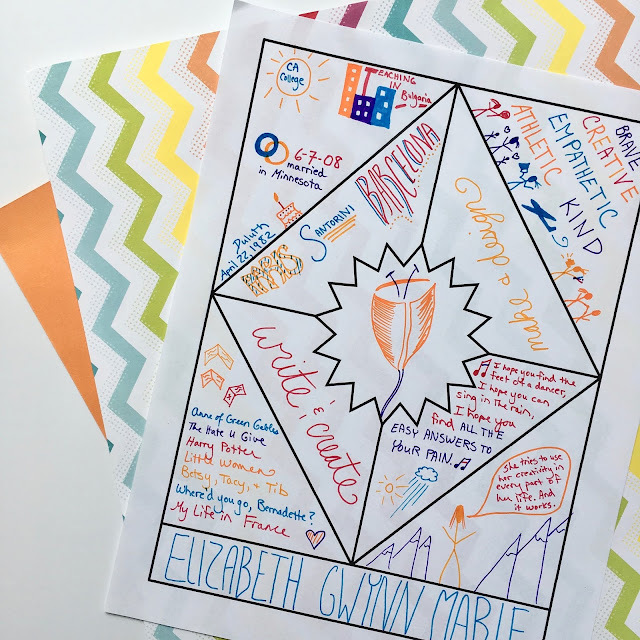 I bet you're already imagining the activities you could do with spoken word stations, poetry analysis stations, Shakespeare stations, grammar stations, elements of rhetoric stations, and more! One more quick thought. Remember that stations leave you FREE. So if you're worrying a bit about what your students will do with so much independence, keep in mind that you can help guide struggling students and adjust your stations on the fly. I love lessons that leave teachers free to help and modify as they go, don't you?